The food industry is one of the largest on the planet. It needs to be, after all, there are literally billions of mouths to feed. Technology and processes have continued to advance, making the industry increasingly efficient. This helps manufacturers to meet the growing demand. In addition to meeting increasing demands on quantity, the food industry overall also needs to meet high-quality expectations. It’s not just that people want food to taste great and look appealing, but it also needs to be safe. Laser cutting has helped make a huge difference in many aspects of the food industry. It has helped to make it more efficient and cost-effective, while also maintaining and even increasing safety standards. Here’s a look at just some of the ways in which laser cutting has helped to transform the food industry. The food industry needs equipment that is made for the job at hand. This means equipment that can cut, slice, mash, mince and so on. In using laser cutting in the manufacturing of this equipment, costs have been reduced. This is because lasers make many tasks quicker and easier, reducing the need for otherwise costly man hours. Lasers can also help to make equipment more precisely, resulting in machinery and tools that simply do the job better and faster. The same can be said when it comes to food packaging. 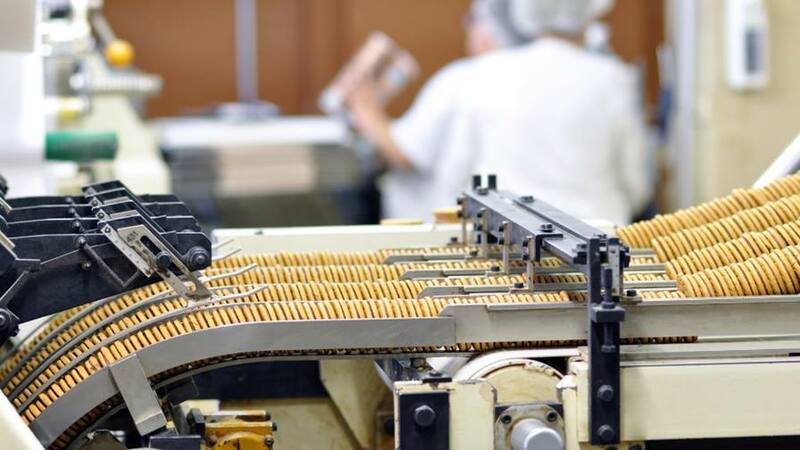 This is one area that can also be costly for food manufacturers but, again, laser cutting technology helps to keep costs down. What’s more is that lasers also help to ensure that food packaging products can be manufactured cleanly, which is obviously very important. Appearance is among the most important aspects when it comes to food. People want something that’s appealing and might shy away from certain food if it doesn’t look good to eat. Laser cutting helps manufacturers to be more creative with food packaging. More intricate designs would often cost more, but laser cutting technology helps to keep even the most complex designs affordable. This helps manufacturers to increase sales of their products which, in turn, helps to boost their bottom line. Increasing production capacity can be a very costly business. Not only does it mean buying new equipment but it can also mean renting or buying new factories and warehouses. Such costs are often very restricting to businesses, meaning that they may have to miss out on taking advantage of potentially lucrative increases in demand. With lasers, however, current facilities can be upgraded to allow them to increase their capacity. This allows them to expand without having to break the bank. It also allows them to keep costs down, which helps to keep them competitive in the market. Being able to sell their products at a lower price can itself result in a boom in business as it encourages more sales. Laser cutting technology is still advancing. As it does, so it will become increasingly effective and increasingly affordable. There may even come a time when it revolutionizes how we work in our kitchens at home!